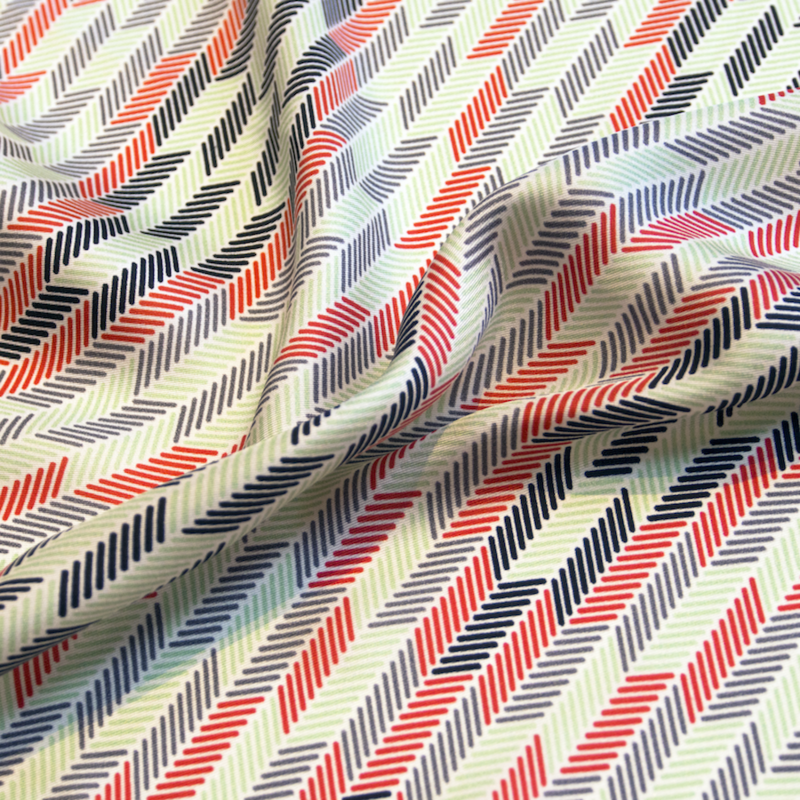 The Herringbone Collection is Inspired by Peranakan afternoon tea cakes (nyonya kuih), this print design is a fusion of both 'kuih lapis' (a steamed layered dessert) and the herringbone pattern. 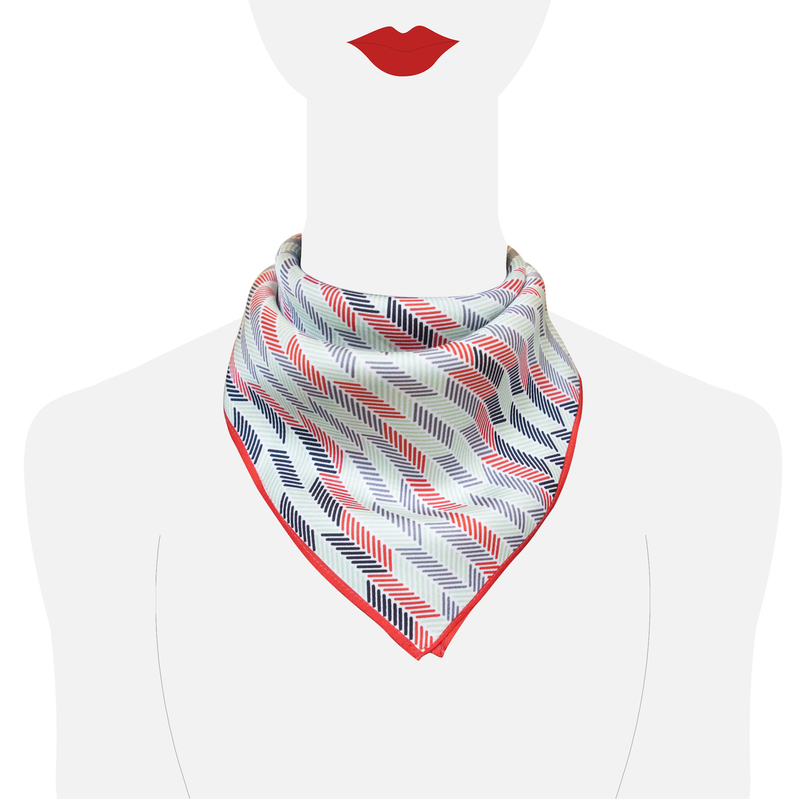 This scarf is suitable to be used as a neckerchief, headband, wrist wrap, pocket square and to accessorise bags. The pale, pastel colours of the scarf makes it easy to accessorise, it can go with anything.